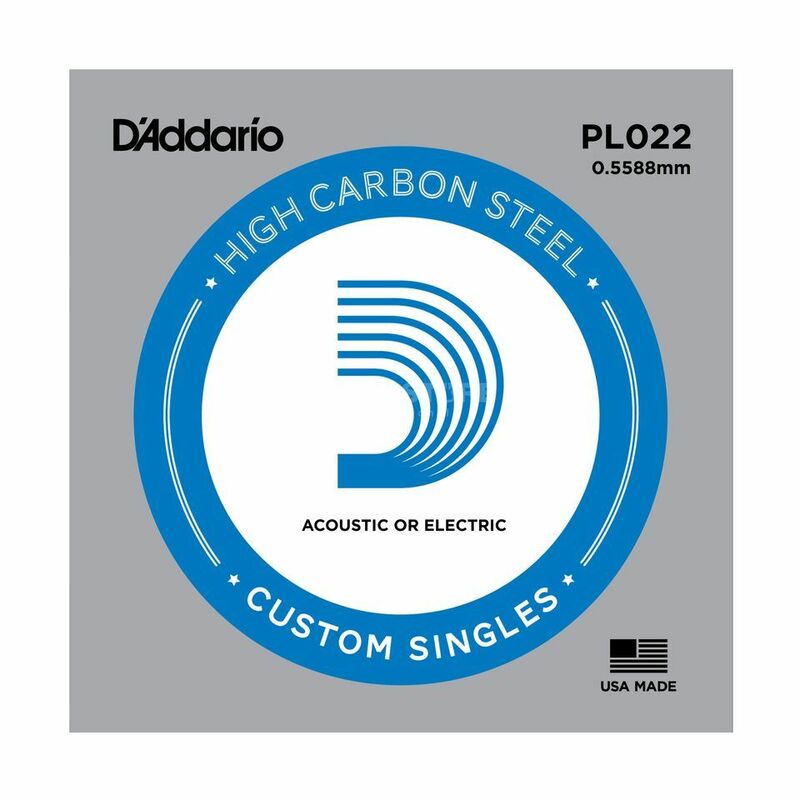 The D'Addario Single String PL022 is a plain steel, gauge: .022 guitar string for electric or acoustic guitars. D'Addario plain steel guitar strings are acclaimed worldwide for their superb, long-lasting tone. They are equally suitable for both electric and acoustic guitar. D'Addario offers a full range of acoustic and electric guitar singles for all your replacement or customization needs.